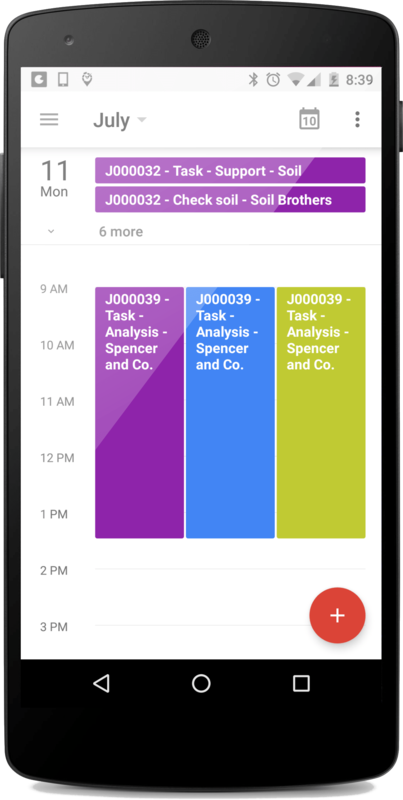 2-way synchronisation keeps your data in sync with your Google calendar connected service or mobile app and allows you to update or reschedule your work on the move. 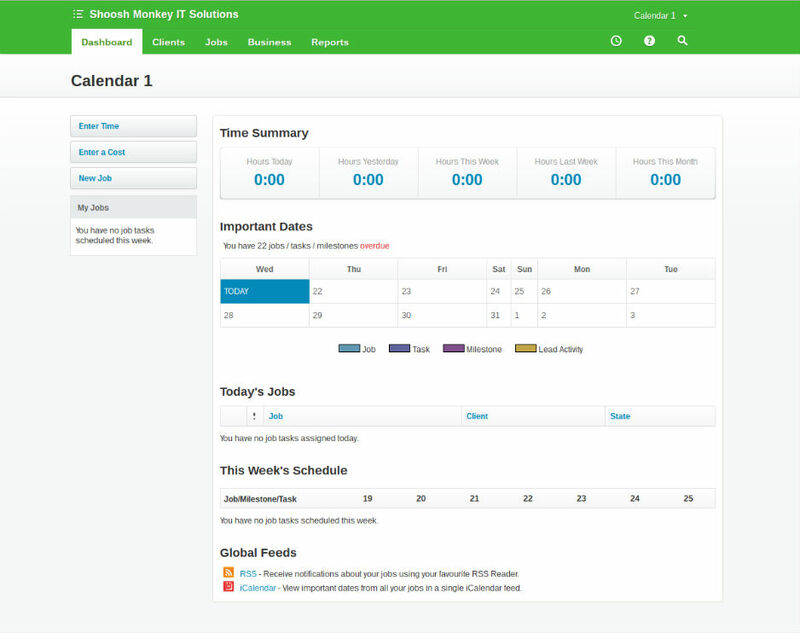 Schedule multiple tasks throughout your day when you combine WorkflowMax custom fields with our powerful calendar mapping feature to sync data to any calendar event field such as Start/End times! If you can't make it to an appointment it's easy to re-assign your scheduled events to another WorkflowMax staff member. 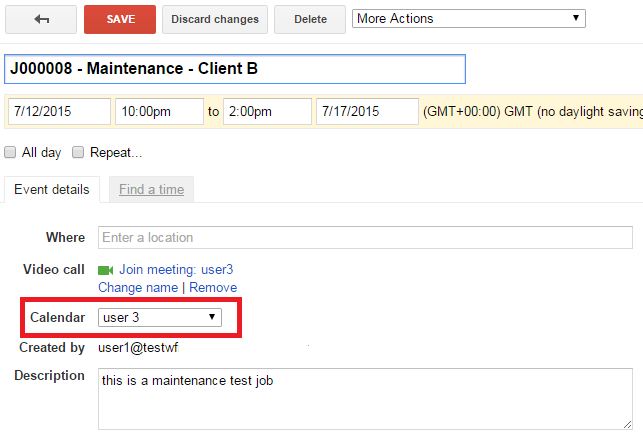 Simply change the calendar owner in Google Calendar to another team member and the staff assignment for that Job/Task syncs back to WorkflowMax. 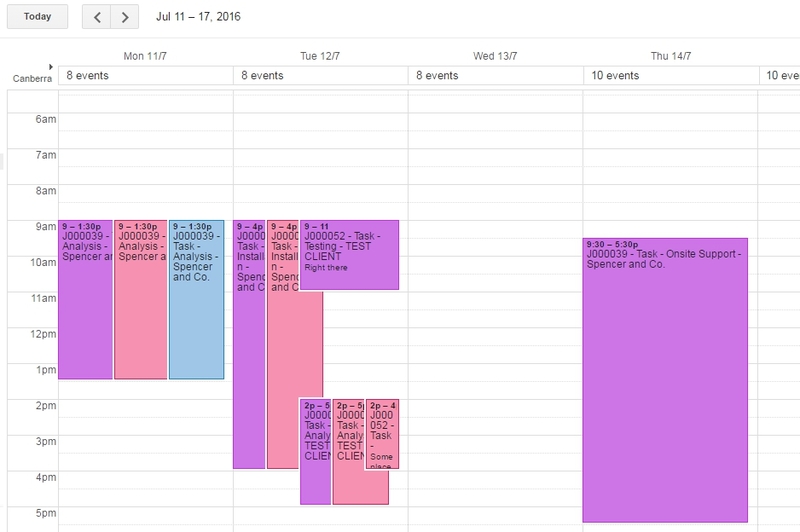 Scheduling work has never been easier now with drag 'n' drop events. 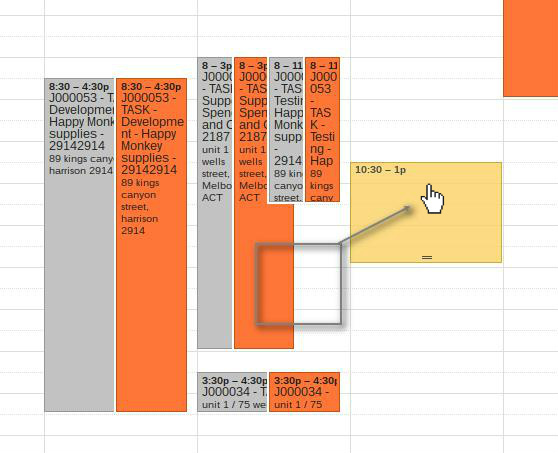 Arrange your workload amongst your staff and agenda with a simple click and drag. 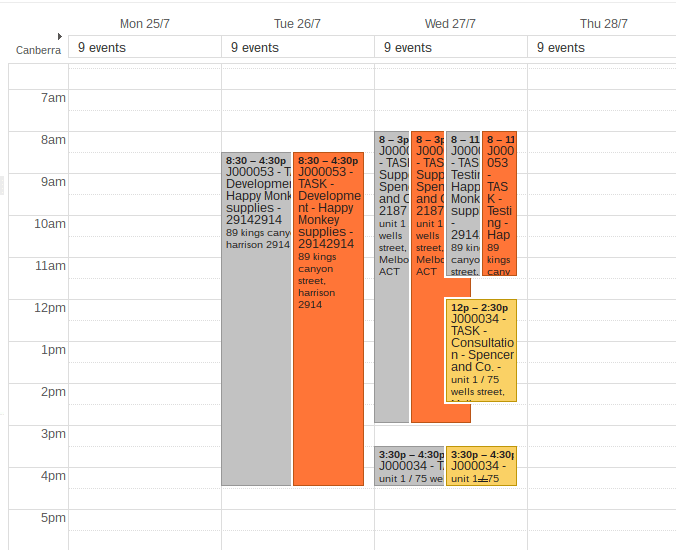 Plan your business workload with colour coded calendars. Different staff events now stand out to make planning simple. Give your staff the power and autonomy to make critical decisions by providing them all the necessary information in their booking. 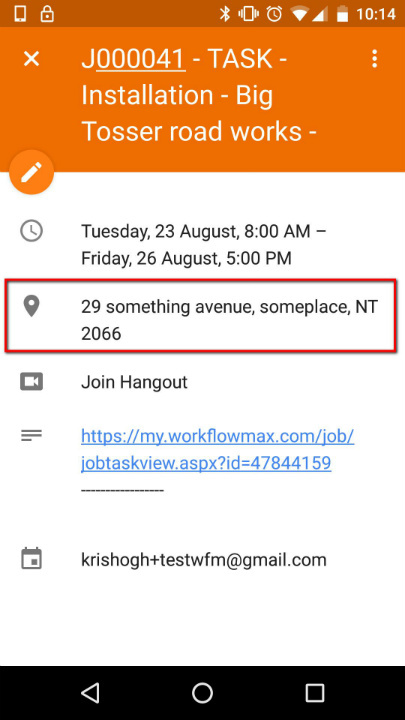 Using our mapping feature you can link any WorkflowMax custom field to any of the 5 editable fields in Google Calendar. Great for syncing the Job address to each Task event location field for your field service staff OR syncing tools required for the job in the description. Even though we are deeply integrated with your WorkflowMax account there are times when you want to easily reference back to your main dashboard. Each event is synchronised with the source URL from WorkflowMax which makes for seamless linking to the originating Job or Task from your calendar.